I have found a new found love! I’m currently obsessed with caramelized onions. It all began with me reading a Roast Onion Tart recipe in a cook book and I was not sure if I’d like big chunks of onions roasted on a otherwise promising tart. 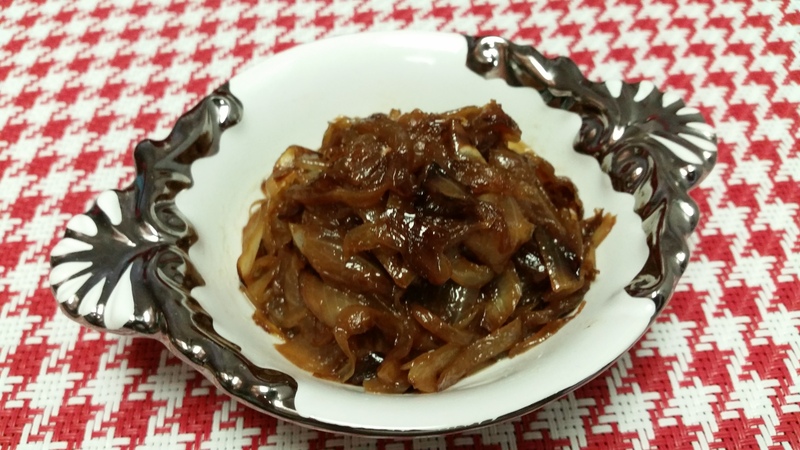 I thought why not try caramelized onions instead, it is a pantry staple. I love how slow cooking the onions alleviates the natural sweetness in the onions and lends such good flavors. The best part is this is such an easy thing to make and stays well refrigerated for almost 4-5 days in an airtight container. However honestly once I made this, it got immediately polished off with Besan Chilla Crisps topped with a layer of caramelized onions and then tomato thokku. The flavors simply exploded giving us different textures. Sahil loved this to bits! It is a great weekend lunch option. It’s really quite an easy recipe and comes together in 30 minutes. Make it over a weekend and enjoy the goodness all week long. 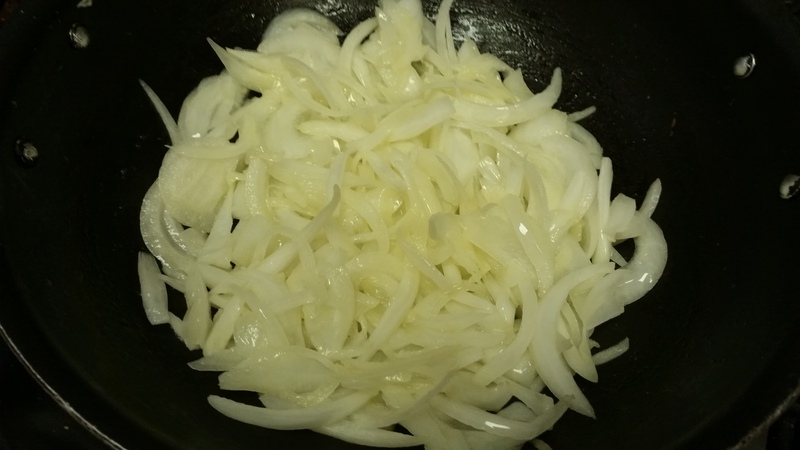 In a wide pan or kadhai, heat some canola oil on medium heat and add the onions. Let them sizzle and once translucent add the salt and sugar and mix it well. Let them stand for a while and keep mixing them ever 4-5 minutes. 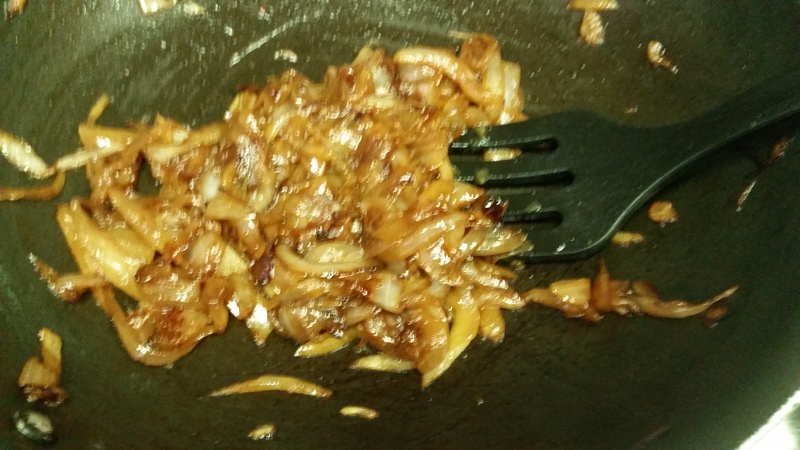 After the onions have browned a bit, add a little water at a time and deglaze the kadhai. Cook to the point when the onions are close to disintegrating and have a beautiful brown color. Let the caramelized onions to cool down and transfer to a mason jar!